Bridger Trains engine opens the world to where imagination and technology intersect. 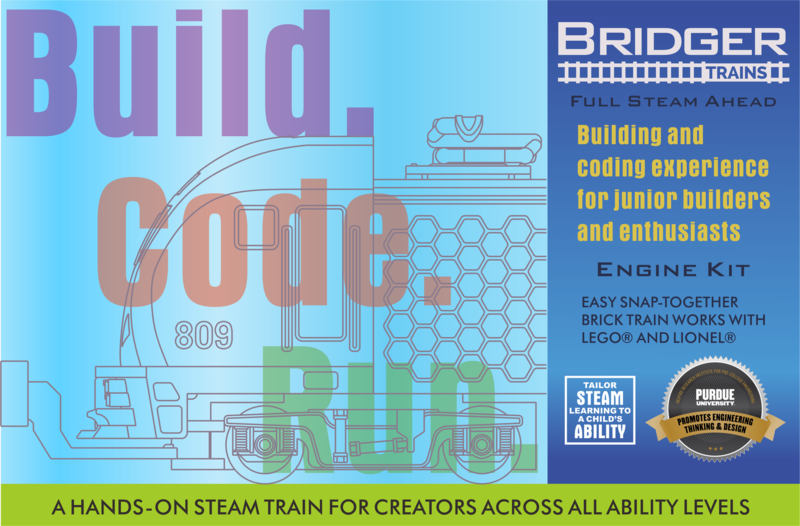 The fun starts by building the Bridger Trains engine and the track it runs on. Children bring the engine to life - on their own - by simply downloading VNC viewer® app on their tablet and running the sample codes. From there, the sky is the limit. 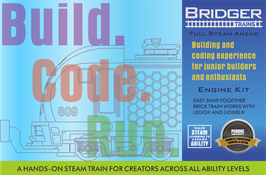 Children can write their own code to modify the operation and control of Bridger Trains. 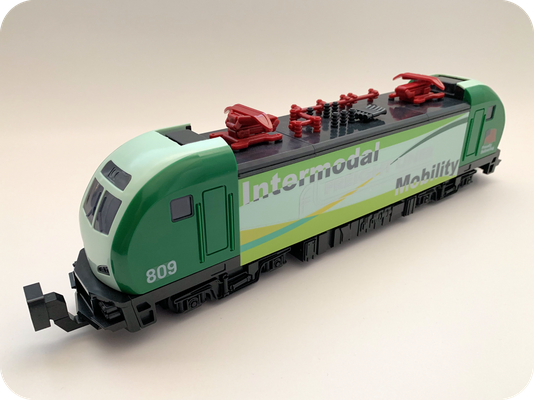 They can add Lionel® or Lego® train cars if they like. Create your own buildings and theme your train layout. Each Engine Kit includes all the pieces including the brick pieces and the electronics module to build the engine. Passengers in major metro cities trust the mighty engine to take them to and from work, home and all places in between. Need to pull heavy cargo across the mountains? The Freightliner is the engine for you! Start your city's story by building the Bay Area Transport to move passengers throughout your busy metropolis on time! 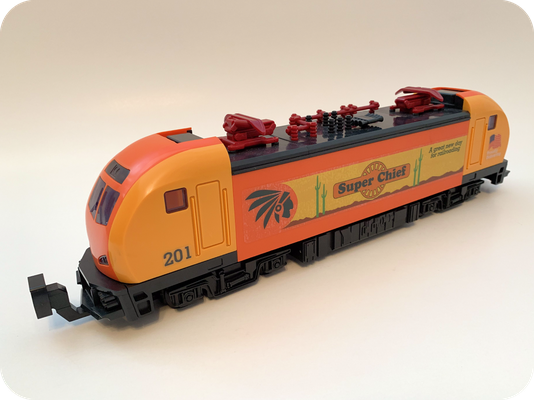 Spark the imagination as the Super Chief cruises coast to coast! Choose your favorite color type of Bridger Trains engine!